Good location - one block back from the water. Quiet but close to everything. Buffet was very good Friendly staff Room was comfortable but small. The food was amazing and all the staff so pleasant and helpful - nothing was too much trouble. And such a difference with no kids around! Brilliant! Food was the best part. Location was good enough, about 5 minutes walking to the beach. the room was not very spacious but comfortable, except for the AC part. Staff were fabulous, they could not do enough for you and always with a smile. Beds were exceptionally comfortable with good quality linen. Breakfast excellent. 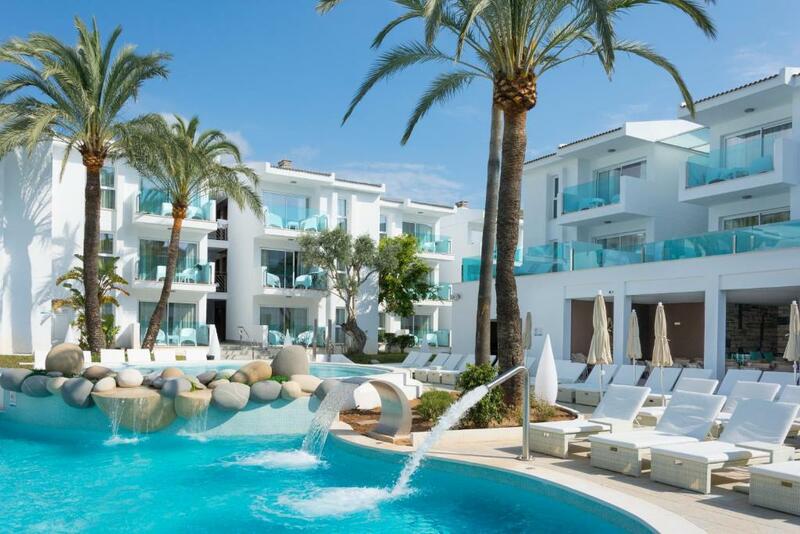 Lock in a great price for Mar Senses Puerto Pollensa - Adults Only – rated 9 by recent guests! 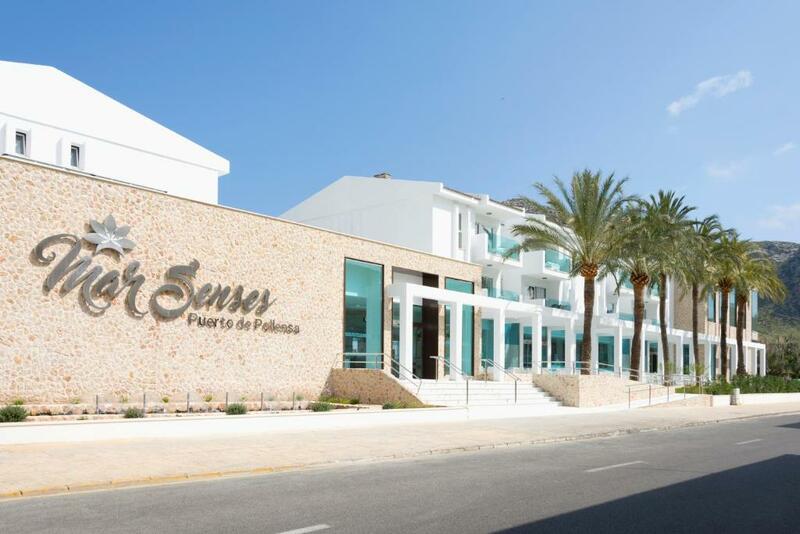 Mar Senses Puerto Pollensa - Adults Only This rating is a reflection of how the property compares to the industry standard when it comes to price, facilities and services available. It's based on a self-evaluation by the property. Use this rating to help choose your stay! Located northeast of Pollensa Bay, Mar Senses Puerto de Pollensa is a few steps from the popular port and just 350 feet from the beach. The well-equipped and stylish suites at this adults-only accommodations consist of a double room and a living-dining area with satellite TV. The modern bathrooms come with a shower. Between 2013 and 2016 the accommodations has undergone renovations and these exclusive suites are equipped with air conditioning, access for guests with reduced mobility and bath amenities. There are also convenient services such as a pool and terrace area and a lush garden where guests can relax. 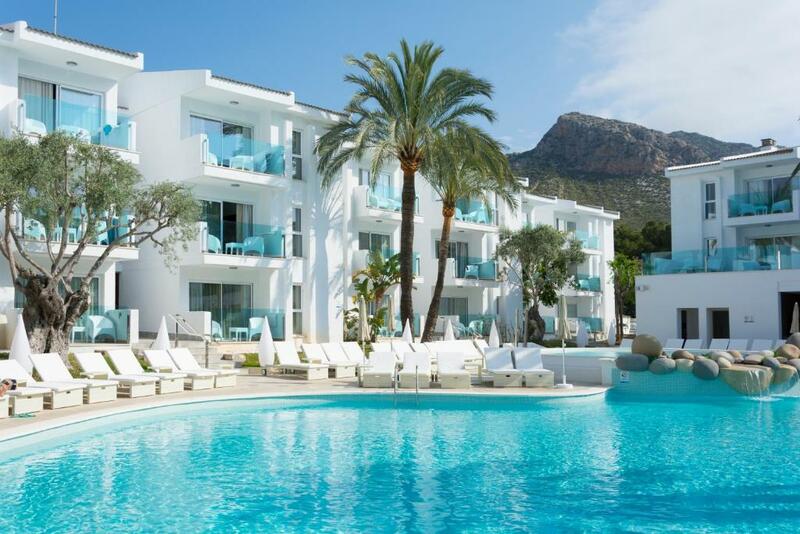 Mar Senses Puerto Pollensa is located just next to a road that connects with Cap de Formentor, a peninsula on Mallorca's northeast tip offering wonderful views and beaches. Mar Senses Puerto de Pollensa is not far from a good range of bars and restaurants, as well as nightlife. When would you like to stay at Mar Senses Puerto Pollensa - Adults Only? This suite comes with a double bed, seating area, minbar, air conditioning, central heating, satellite TV and a small balcony. The bathroom includes a hydromassage shower. Guests will find a mini-bar and a safety security box is available for an extra cost. 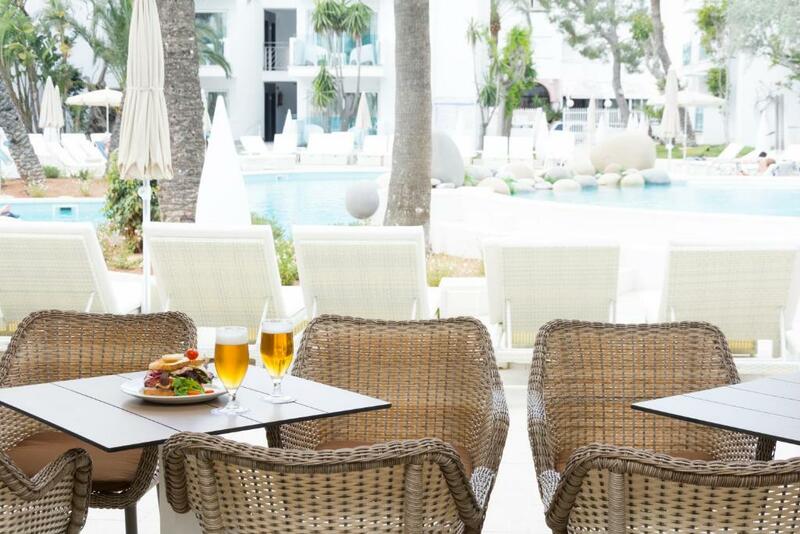 he resort of Puerto Pollensa lies 58km north east of Palma in Mallorca, and is one of the furthest resorts from the airport, as a consequence transfer time may be a lengthy two hours from the time you leave the airport grounds. Tourists have been coming to Puerto Pollensa since the 1920s and the hotels on the sea front still retain an old fashioned air, having been built long before the concrete boom of the 1960s developments. Today the town attracts mainly British families looking for something more than the hussle and bussle of the south coast resorts. The wonderful scenery, beautiful sandy beaches and a laid-back friendly atmosphere, make Puerto Pollensa a favourite destination for many. House Rules Mar Senses Puerto Pollensa - Adults Only takes special requests – add in the next step! Mar Senses Puerto Pollensa - Adults Only accepts these cards and reserves the right to temporarily hold an amount prior to arrival. Rooms in courtyard might be noisy because the bar is open untill 23.30. When i stayed in hotel one night there was noisy British tourists. The bed a bit too soft for me. The food was really good. Not this huge buffet but a bit more fancy with some specialties. Personal was really friendly and always super helpful!! The Wellness area is also really nice. Staff were very hospitable and the hotel was really relaxing. The hotel was veey clean and it was great relaxing by the pool. At breakfast and dinner there was a good range of choices. The food choices at the dinner were not that amazing. No spanish food at all given the fact that you’re in Spain. Its mostly boring usual food (roast beaf, vegetables, fried onion rings, vegetable soup, pork, lamb. There was no fish or paella or any seafood at all in my 4 night stay. You cant feel the you’re in Spain with the food choices. The Location of the hotel is very far from the Airport. Public transport takes almost 2 hours. The bus/coach table is very few so you have to leave beyond early to make it to your flight. The room was amazing. The pillows are good! The wifi was good! The buffet was good! The staff was very friendly and helpful! It was overall amazing stay. The cleaning of the room and the stairs up to the room wasn't brilliant. There was a tiny bit of paper in the corner of the shower room that stayed there the whole time. The room did smell a little when we arrived and I asked if the floor could be mopped really well and it was better after that. The stairwell needed cleaning and things were regularly left on the stairwell. The staff were all very friendly. The food was delicious. The pool very nice although cold. The room was a good size with separate bedroom and sitting room and big shower room. Great food. Relaxed. Friendly staff. Great location. Very well located, very clean, people from the hotel are really kind and welcoming. Bedroom very comfortable. Bath in bedroom was a lovely bonus. Dinner was nice. Staff very nice. Pool closed very early each day Jacuzzi rarely working Not our scene ultimately (deathly quiet around pool, half board (eating out is a big part of the holiday for me),night time entertainment) - all things that many others will love to be fair.